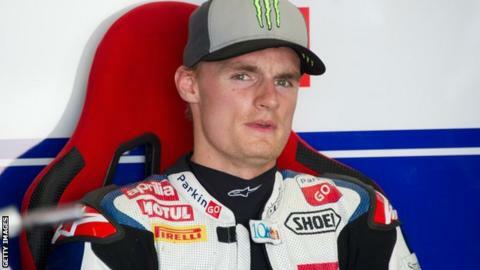 Herefordshire rider Chaz Davies has expressed frustration after bad weather disrupted pre-season testing. Davies and BMW Motorrad teammate Marco Melandri were testing in Jerez, Spain ahead of the World Superbikes season. "We didn't manage to get much of a break in the rain from the first try of the bike in early November until pretty much the last testing in January. "The dry time I have had has been a bit sporadic, but I'm happy to say the last test went really well as I was less than a second off my teammate, who has had a year on the bike and he was the fastest guy that day." Davies was named Rookie of the Year in his debut season in 2012, when he won in Germany and finished ninth in the Championship for the ParkinGo Aprilia team. And after joining Motorrad, Davies is enjoying the level of control he has over the set-up of his bike. "There are a lot of differences, really, although the end job is the same - I ride the bike as hard as I can whether I am on the works team or a private team," he added. "If I want one millimetre of extra length here or there then I can have that if I really wanted to be that particular. "It's good to know that if I do require something then they can tailor it to my needs."